最喜爱的 of the Shadow Riders? Who's your 最喜爱的 female character? In Yu-gi-oh! GX: Spirit Caller for the DS, how do 你 find 更多 Spirits after 你 get the first one? 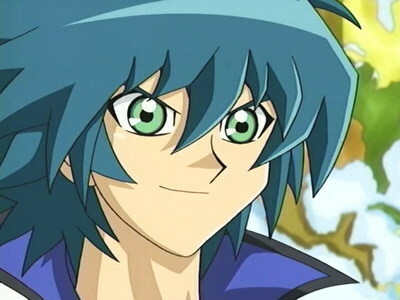 on yugioh gx, who do 你 think would make a better kisser :syrus 或者 jaden? game on! get your game on! Jim was so cute when he was little.When Jim and 鳄鱼 were walking Jim came across a animal trap.Jim grabbed his 鳄鱼 and jumped and saved the 鳄鱼 but fell of a mountain.Jim injures his right eye.After Jim regained consciousness.He is imbued with the eye of orichalcum 由 the man 由 Jim's devotion to Shirley.The man who give it to Jim and told him it was surpossed to have increible powers when in the presence of a special comat.Afterwards Jim keeps his right eye bandaged.That's Jim's whole childhood.That's is why i 爱情 him so much. Tyranno Hassleberry is the best character.He kicked syrus down the 爬坡道, 小山 in the trash can.He also is very mad in school for no reason.He beat up Syrus before.He won the fight.But he 迷失 the duel.He had to listen to Syrus.He does what syrus tell him to do.Hassleberry and syrus went camping.He had to carry everything.He was mad when Axel was gone.He was also mad that Jim and Jesse were gone.He was mad when he 迷失 that duel.He was mad when Jaden disappeared.He also returned to the yellow dorm.He lives there now. a pop quiz question 增加: Who is the owner of Duel Academy? a comment was made to the poll: Chazz 或者 Aster?